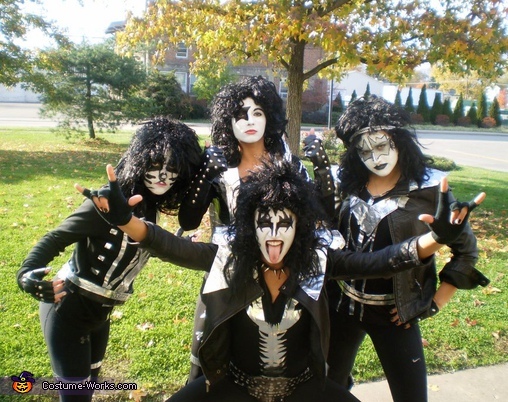 Me and three of my friends decided to dress up as kiss. We made everything out of duct tape and cardboard. My friend painted our faces and we bought the wigs.